In a large sauté pan place the 2 tablespoons butter, 2 tablespoons oil, onion, celery, red and yellow bell peppers, parsley, capers, Tabasco sauce, Worcestershire sauce, Old Bay seasoning, salt, and pepper over medium-low heat and cook until the vegetables are soft, for approximately 20 minutes. Allow the vegetable mixture to cool to room temperature. In a large bowl, break the 1lb of lump crabmeat into small pieces and toss with the bread crumbs, mayonnaise, mustard, and eggs. 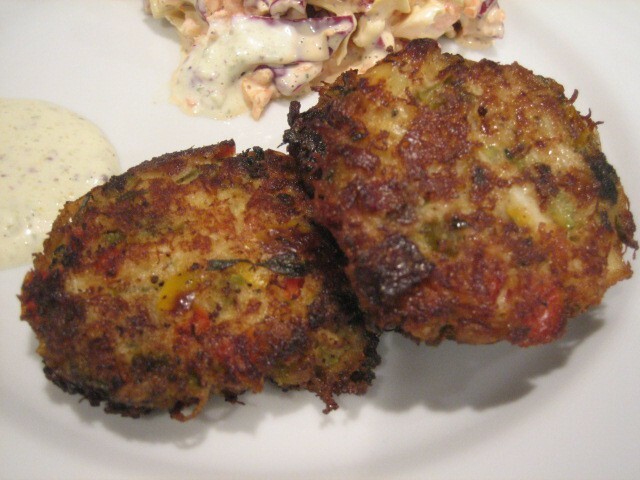 Once the vegetable mixture is cooled add it to the crab mixture and mix well until combined. Cover and chill in the refrigerator for 1 hour. Shape the crab mixture into a ball about the size of a small plum and compress into a disk and makes about 18-20. Heat the 4 tablespoons of butter and ¼ cup of olive oil over medium heat in a large sauté pan. 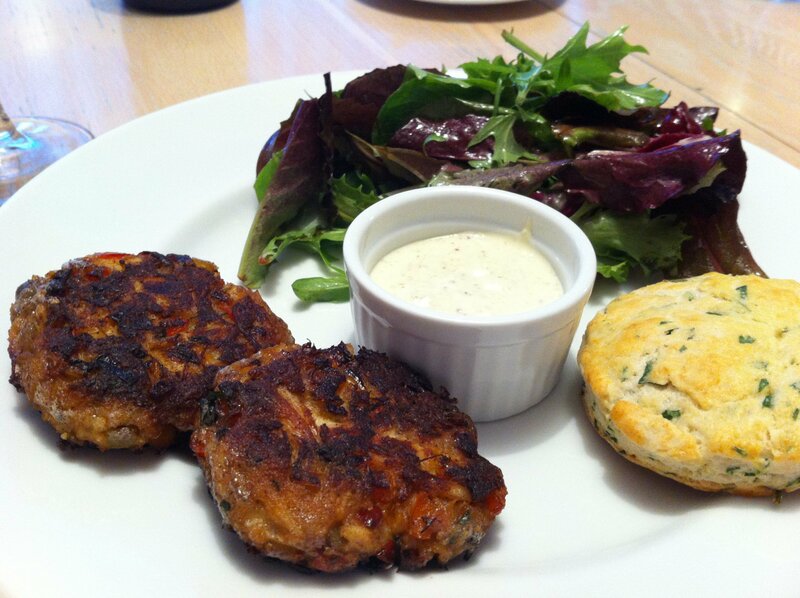 Add the crab cakes and fry for 5-6 minutes on each side, until browned. Drain on paper towels; keep them warm on a wire rack in a 250 degree oven and serve hot.